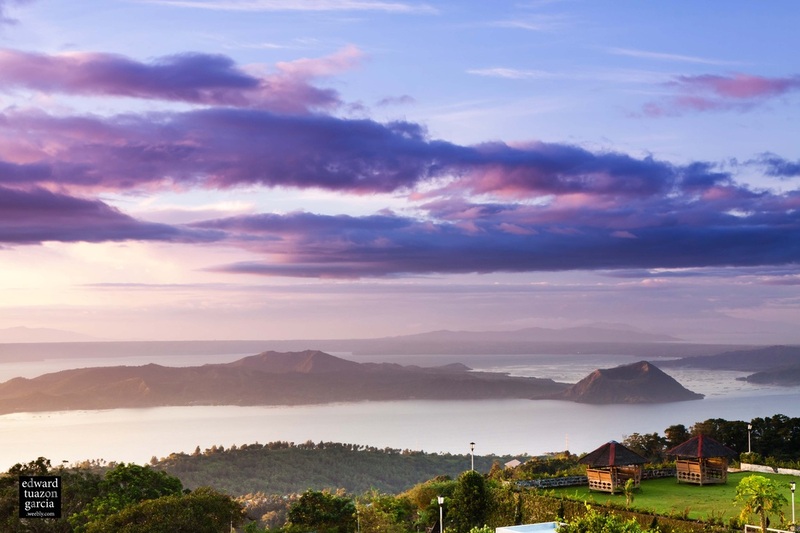 I was on a very promising vantage point while waiting for a sunrise on a cold and windy morning in Tagaytay, me and my tripod were keenly standing on top a three foot high railing with an eight inch ledge. A railing that separates a garden from a downhill gorge. Tripod on my right, camera bag on my left and cable release button on my hand. As light starts to appear on the horizon I started shooting. Zooming in, zooming out, vertical shot, horizontal shot, changing lenses. It was a strenuous and precarious balancing act... But it was a splendid morning.